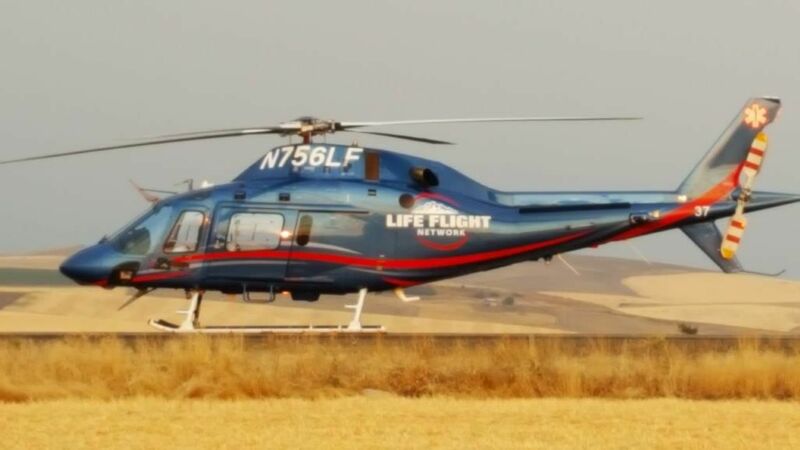 Free Press / Donna Wassmuth This helicopter was waiting for a patient Jacob L. Phillips to be transported to Lewiston recently. It had landed on the turning lane at the corner of Old Highway 7 and Highway 162. COTTONWOOD  This year is the 100th anniversary of the apparitions of Mary appearing to three children at Fatima, Portugal. A group of people from the parish would like to commemorate this event by having a rosary procession in the streets in Cottonwood. It will take place at noon Saturday, Oct. 14, and will last about an hour. We will pray the rosary in St. Mary’s Church for those who do not want to walk, while the rest of the people will be praying the rosary while walking around the streets. We will proceed down Lewiston St. and cross over by the Tire Guy gas station to King St. and come back up to the church. There we will have songs and prayers. Anyone is welcome to join. Contact Donna Wassmuth at 208-962-3561 or Max Nuxoll at maxnjoan@gmail.com. Mega kudos to the Prairie Booster Club as they celebrate 30 years of supporting the Prairie Schools activities. More than $187,000 has been directed back into the schools since 1987. The Youth Ministry 30 Hour Fast is taking place this coming weekend. The youth who have signed up will fast for 30 hours to raise their awareness of the poor and those who go hungry. As part of the fasting experience, they also raise money which is sent to Catholic Charities. They will be taking donations after all the weekend Masses next Saturday and Sunday. Congratulations to the Baerlocher family who received the Century Farm Award recently. Joe and Arlene Baerlocher are the current owners of the farm in the Greencreek area. That is something to be proud of.